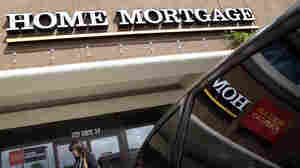 March 30, 2011  Federal banking regulators have proposed new rules for home mortgages that could require larger down payments for some home loans. Some experts applaud the move but others worry it could hurt home ownership. March 29, 2011  On April 1, new federal regulations go into effect that will prevent mortgage brokers from earning a bigger commission for giving a customer a loan with a higher interest rate. Consumer advocates applaud the measure, but many brokers say the new rules reflect a bias toward big banks. March 27, 2011  The federal government is reshaping the mortgage market, and there's strong political support for requiring consumers to make 10 percent to 20 percent down payments. It could also mean the end of the 30-year fixed-rate mortgage in favor of a shorter-term home loan. 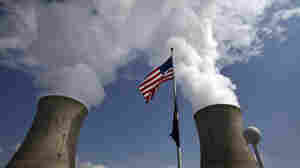 March 16, 2011  Both the Bush and Obama administrations have tried to promote the growth of nuclear power. The biggest obstacle to building new nuclear power plants is that it costs too much money to construct a modern nuclear reactor — especially when cheaper power plants that burn natural gas can be built. March 10, 2011  It's now been more than five years since home prices began falling and the housing market began to collapse. And there's no clear end in sight. Prices and sales are still flat or sliding lower. Foreclosures remain at record highs. Banks continue to bungle foreclosure prevention efforts and even foreclosures themselves. And now the government is considering requiring 10 or 20 percent down payments on many home loans. March 5, 2011  Companies, especially those in the manufacturing sector, are hiring at a pace that is likely to bring down the unemployment rate at a gradual rate. The unemployment problem is far from over, but a factory outside Boston is feeling the benefits of increased orders. March 3, 2011  Republican lawmakers have introduced legislation to shut down the Obama administration's foreclosure prevention plan. The program was supposed to help millions of homeowners but has fallen far short of its goal. But a staunch critic of the plan, TARP special inspector general Neil Barofsky, says it should be fixed, not eliminated. 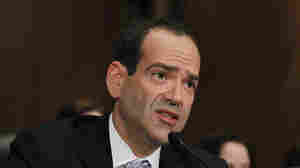 February 18, 2011  U.S. foreclosures matched their highest level on record at the end of 2010, and Neil Barofsky, special inspector general for the Troubled Asset Relief Program, says scores of homeowners who qualify for help aren't getting it. Barofsky, who is stepping down in March, says the Obama administration's program to prevent foreclosures is broken. Mortgage Interest Tax Break No Longer Sacred? 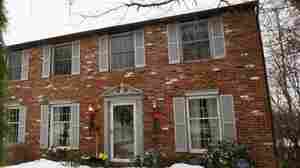 February 12, 2011  More economists are calling for an end to the mortgage interest tax deduction as a way to help reduce the federal deficit. 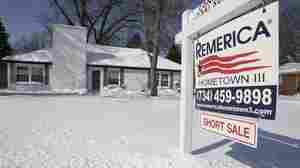 But real estate professionals worry the move could put a damper on homeownership. With the housing market still shaky, it's unlikely the government will act right away. February 4, 2011  The unemployment rate tumbled to 9 percent in January, but job growth remains weak. NPR's Chris Arnold looks at the latest data, and talks to a company that has been adding jobs — a package delivery service, not an easy business to be in during February in Boston. February 1, 2011  Food prices have been rising dramatically in the Middle East, as well as other parts of the world. A U.N. report shows its food price index is at the highest level ever recorded. Surging prices for cereals, rice, sugar, coffee and more have contributed to the political and social unrest in Egypt, Tunisia and Yemen. January 27, 2011  The financial crisis that roiled markets around the world in 2008 did not result from a "perfect storm" of accidents. A new report says it was an "avoidable" disaster that grew directly out of the widespread failures of regulators and the excessive risk-taking by corporations and Wall Street firms. January 21, 2011  President Obama tours a GE factory in Schenectady, N.Y., Friday, and discusses ways to expand manufacturing and create jobs. Frank Vargo of the National Association of Manufacturers believes increasing exports would boost sales, and in turn, require more workers. 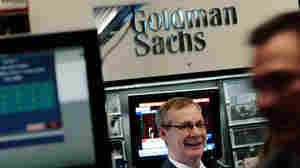 January 19, 2011  Goldman Sachs reported that its fourth-quarter profits plunged more than 50 percent. That was an unwelcome surprise to investors that comes on the heels of the firm having to reverse course on a private offering of Facebook shares.